It was occupied until about 1985 by the Wadham family - John Edward Wadhams (6th Bedfordshire) and Edwin Wadhams (Machine Gun Corps) were both killed in the First World War. 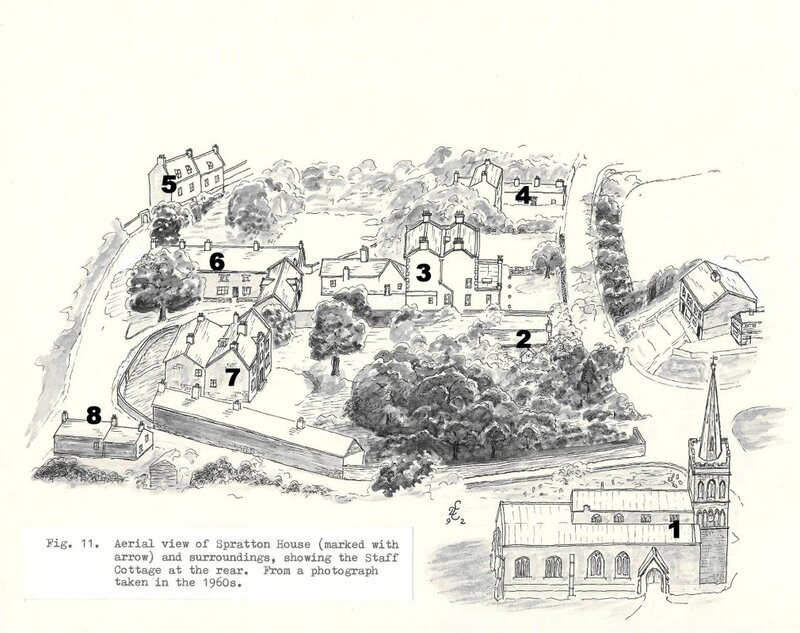 It is now Stone House, Yew Tree Lane. Yew Tree Lane showing, on the right, No 11 This was once a public house called 'Live and Let Live' run by William Berridge in 1861. 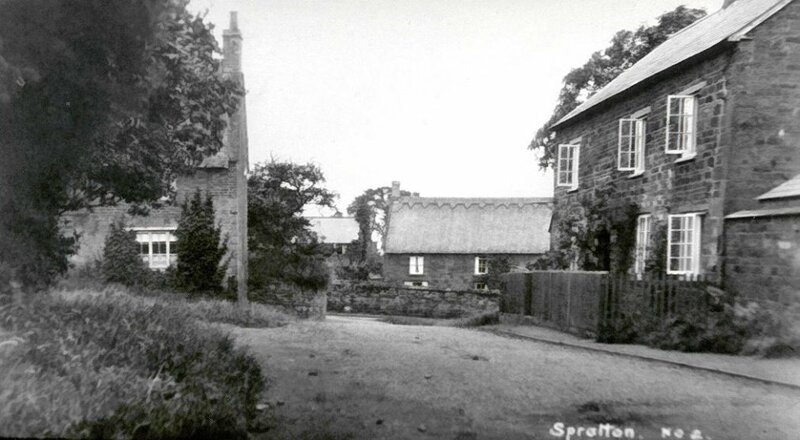 Then its name was changed to the Brickmakers Arms, run by Samuel Blundell in 1871 (later the Blundell family set up the Spratton brickworks in the early 1880s). 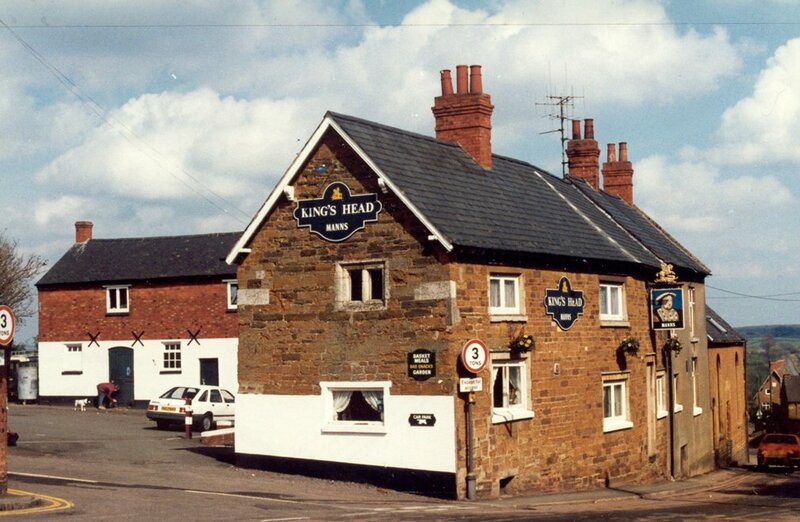 In 1880 it was renamed the Rose & Crown (the landlord in 1881 was Daniel Hammond) and was owned by Hipwells of Olney until 1900 when they sold it to Phipps. When Daniel Hammond died in 1894, his widow Mary Hammond took over the licence. 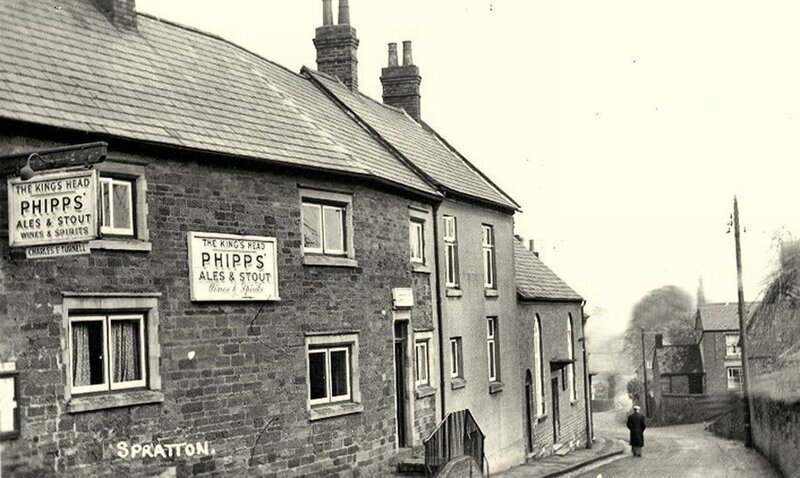 The pub was closed in 1922, and the property was bought by Harry Hammond in 1925 and let to Arthur Copson, who was a poulterer. 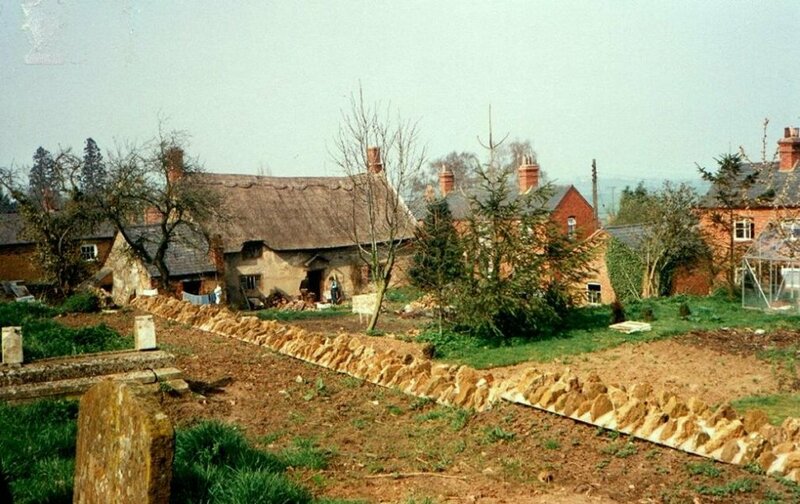 In 1935 the use reverted to the Hammonds, who ran it as a dairy in conjunction with their farm. 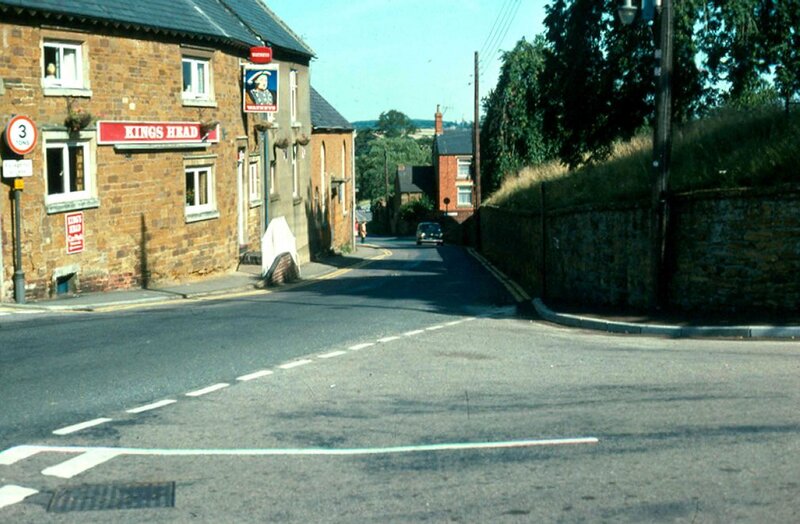 The Kings Head when the steps on the Brixworth Road were still in use. 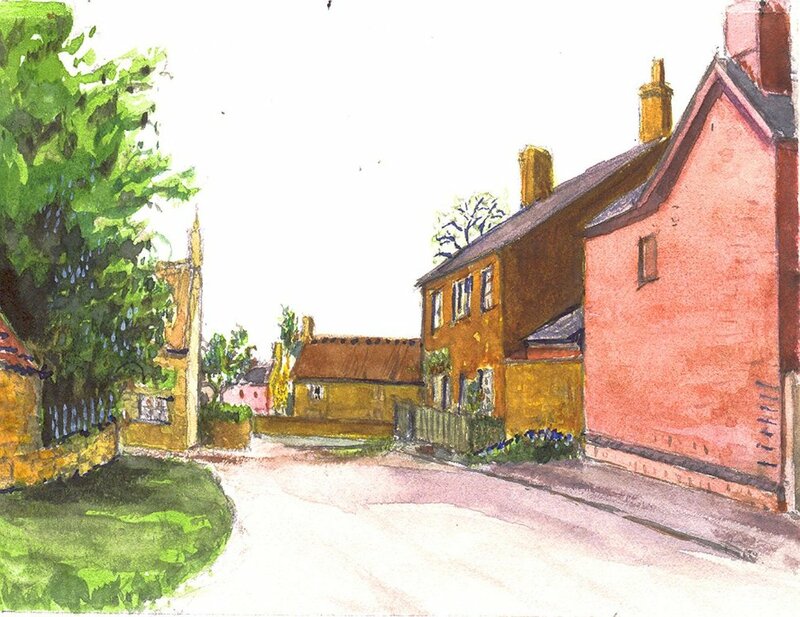 'Threeways' at the bottom of Church Lane, reputed to be the oldest surviving house structure in the village. However, the date stone of 1671 is not original and/or in its original position, so it may refer to the previous building on the site. 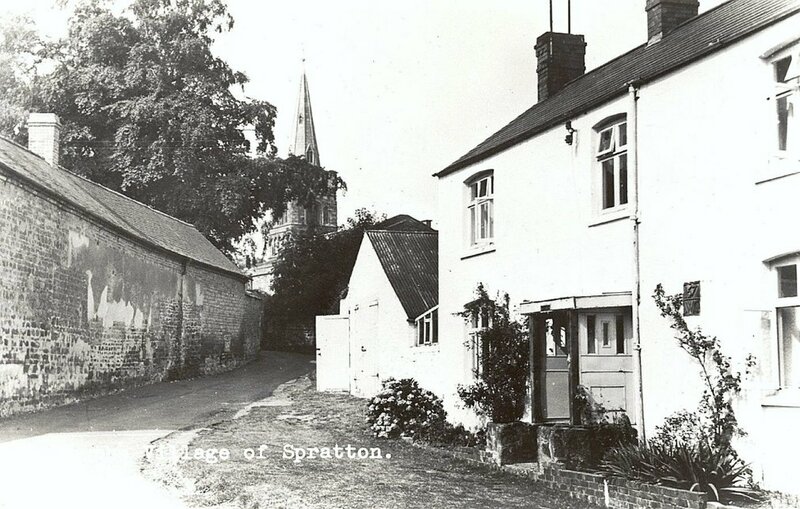 The garage on the left was once the village fire station.